The current technical services operations within libraries needs to be redirected and refocused in terms of format priorities. 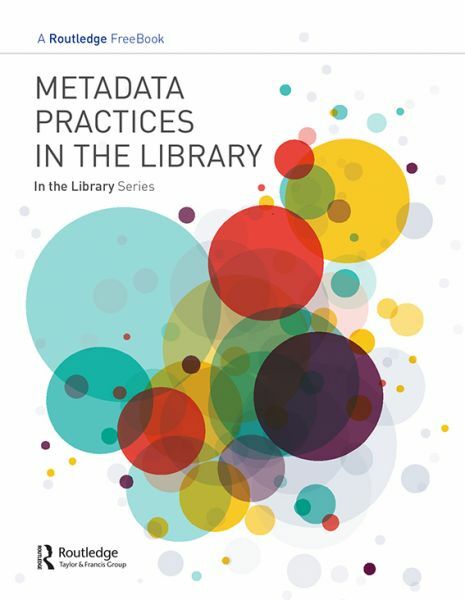 This FreeBook thus provides library practitioners and students of Library and Information Science (LIS) with a consideration around shifting scholarly publishing, open access, social networking, loss of market share, and declining library funding on collection budgets and digital accessibility to print resources – all of which is in light of Metadata Practice in the Library. Additionally, you can also read our author interview with George Veletsianos, author of Social Media in Academia. Brought to you by Routledge, In The Library serves as a series of free resources for library practitioners and students of Library and Information Science to help you to discover and engage with current topics of interest. Routledge is excited to be able to offer free resources to help you discover and engage with topics across professional and academic communities, with insights from expert authors and leading industry voices.